What We’re Tasting is a weekly podcast from Wine Enthusiast. Three highly rated wines are the focus of each episode, providing a jumping off point for deeper discussion of a country, region, grape, producer, and style. Our expert guests will entertain and educate, adding personal insight and experience to help you increase your wine knowledge. We’ll also go beyond the bottle to discuss food pairing, wine country travel, and trends. Moving beyond workhorse bottles, you'll find a country full of distinct regions and a broad range of grapes. Explore Syrah, Cabernet Franc, and find out whether or not Cabernet Sauvignon is Chile's best red grape. A Carménère conversation looks at its sometimes polarizing flavors and considers the grape's place in Chilean wine. Befitting a nation with huge coastline, seafood and its natural partner in Sauvignon Blanc get a nod as well. 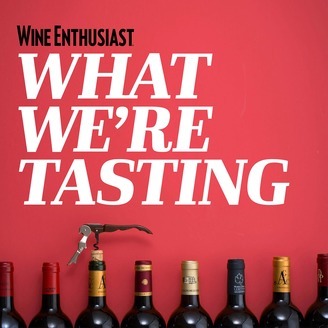 Jameson: Welcome to Wine Enthusiast's What We're Tasting Podcast. I'm your host, Jameson Fink. Join me as we discuss three fantastic wines and why each one belongs in your glass. This episode, we're looking at Chilean wines with Michael Schachner, who covers and reviews wines from the region. What We're Tasting is sponsored by Vivino. With the largest online inventory, Vivino finds the right wine every time. Including delicious Chilean wines. Download Vivino to discover and buy your favorites. And stock up at vivino.com/wineenthusiast. So a couple of months ago I met with a Chilean winemaker, Rodrigo Soto of Veramonte and more wineries, too. And we had an early morning conversation. Had coffee, it was very nice. No wine, it was like 8:30 in the morning. Maybe a little too early for wine, except for maybe sparkling. But that's a story for another day. But it was a really candid chat and I appreciated him talking about issues that Chilean wine faces in the United States and sort of the challenges that it has. And one of the things I thought that was interesting that I wanted to talk about with you, Michael, welcome to the show. Jameson: Chile has this reputation wine-wise of just being this like value center, like value. Like 10 dollar wines and things like that. And one of the things we talked about is the challenge of people, you know, who are gonna spend 30, 40, 50 and more dollars on a bottle of wine to consider Chile as a source of those wines, which it certainly has. Do you see it as a challenge that Chile has to face? There are amazing values there, but now it's almost to its detriment as far as people trading up. Michael: I mean, Chile certainly built its reputation in the Western world with value wines. But that was like from a different era. More of a 1980s, especially a 1990s phenomenon, back when there really was quality wine being produced for under $10. But Chile has since then gone to probably one of the most organized and best-accessible tier systems of any of the New World producers, any of the major wine producing countries in the world. Chile I think is the seventh-largest wine producer in the world. And while probably a good chunk, 50% or more, of what they produce is still in that value category, you can go at multiple levels on top of that. You can go to a value plus level very quickly. High teens, low 20s. You can then go to what I consider to be what they do at their best. And that's a mid-tier plus luxury minus. And these are wines in the 30 to 40 dollar price range that you just talked about. And then they have their high-priced iconic wines, which they are modeled after California, Bordeaux, Italy, places that have had plenty of success with $100 and up wines. Chile has those, they struggle to sell them. Jameson: Well, I think that's our notion as wine drinks of value is also, value doesn't necessarily mean inexpensive, too. I mean, actually the three wines we're gonna talk about today are all in the $30 to $35 range. And I think when you start spending, you can still talk about value when you talk about wines that are over $10 or $15 or $20. Michael: Yeah, no. One of the great things about Chile is that they can deliver superb wines. Wines that rate 90 plus in this kind of mid-tier plus range. The economies of scale work for them. Larger vineyards, a cheaper workforce than, say, in the heart of Napa or in France or in Italy. And so it works to their advantage. They're able to extract a lot of quality and hence the consumer, you, me and anybody else, can receive a lot of good value at wines that are 20, 25, 30, 35. Jameson: So the first wine I want to talk about is Syrah. It's the Valdevieso, 2014 Caballo Loco Grand Crew Limari Syrah, it's a mouthful. The first thing I wanted to ask you ... Editor's Choice, 92 points. The first thing I wanted to ask you about that wine, is Syrah, Syrah is something that I don't really expect from Chile, or know that much about. Is this a rising star? Or have they been making it really notably for a while? Michael: No, I wouldn't say that they've been making it notably for that long. It's a great variety that came in when I would say in the modern era. These are wineries and winemakers that have evolved from a basis of Cabernet, and Cabernet Sauvignon, and Carménère. And then there's been a lot of experimentation. Chile has a terroir and a layout that's very similar to the west coast of North America. The north is very desert like, so that would be your Baja, California, San Diego area. Then you come into the southerly lake region. That would be like the northwest. And then you have that cut in the middle. And that to me reminds me very much of California. And so the same way California has had success and the ability to grow a multitude of grapes due to very kind, sun rich weather. Chile's very much the same. Especially in its central valleys. Limari is an area up north, it's an area that was known mostly for fruit production. And maybe growing grapes that were produced into Pisco. But winemakers started to understand that there's some limestone up there. There's coastal influences, and that maybe they could produce something in the vein of a cool climate type of wine. Chardonnay was planted up there, some Sauvignon Blanc as well, and Syrah. To try to capture a more oceanic style. Sauvignon Blanc didn't fare well, but the Syrah in Limari, although not a lot produced, I have found to be really excellent. It's a leaner, more structured style, but still gets enough son to be ripe. It's not tomato-y or green. It's more full bodied, but it just has something that gives it a unique character. Maybe it's those limestone soils. I'm not sure, but this one's an interesting one. Caballo Loco, the crazy horse. Valdivieso is one of the more traditional wineries in Chile. It's been around for a while, but they have explored different regions, they've explored different grape types, I would call them a more progressive type of larger winery. Caballo Loco has always been there catch all type of wine. Named after one of the owners of the company, who exhibited tendencies of being a crazy horse. He was a let's do this, let's do that, we can do this, we can do that. So he always had a wine named after him, Caballo Loco. And for a long time it was a mystery blend. It was generally speaking Cabernet Sauvignon, but they would never tell you the vintage, they might blend a few years here and there. They've expanded a little bit with Caballo Loco, to include this Grand Reservo variety thing, and it's again supposed to imply that this is a weird off the grid type of wine, not something you're going to see a lot of. There really are only a couple of producers of Syrah in Limari, and Valdivieso is one of them. Jameson: And where, just to orient myself, if I fly into Santiago, I mean how far away are we from the Limari valley? Michael: Limari is actually a bit remote. I would put it up in that northern quadrant of the country. It's very dry, it's where the Atacama Desert meets the ocean in it's most southerly area. You would go to the coastal city or La Serena, that's where you would go to get to the Limari valley. You can fly there, or I think it's roughly about a six hour drive from Santiago straight north on the ocean, and I've been up there once before. It's pretty remote, but it's cool, and just like the whole Pacific Coastline there, it's really quite beautiful. Jameson: And let's move on from Syrah, and talk about a grape that's maybe more well known in Chile. And that's Cabernet Sauvignon. So the second wine I want to talk about is the Unduragga, 2015 Terroir Hunter, Alto Maipo Cabernet Sauvignon, 91 points. First of all what is this Terroir Hunter series of wines all about? Michael: Unduragga, I can give you a little bit of background on them as well. Unduragga, that's a very big name in Chilean wine. The Unduragga family founded Unduragga, probably three, maybe four generations ago. It was one of the early family owned wineries in the Maipo Valley. They sold to a multi faceted business man, about ten years ago. And obviously acquired the brand name, that was important. And Unduragga has continued to produce a large amount of wine, but also some really interesting wines. Their most interesting are in the Tey Hachey, TH series, Terroir Hunter. And this is where their winemaker, a really cool progressive young guy, good friend of Rodrigo Soto. And a guy that I've loved to work with a lot, love to quote, love to meet with when I'm in Chile, or when he comes to New York. His name is Rafael Urrejola. And Rafa is a really good winemaker. Comfortable in various different varieties. Makes good Pinot Noir, makes some good Syrah, has been very involved in reclaiming the old vines of the south, down in Maule and Etota, so you get some Canyon, and some Malbec's, under this series. So it's usually older vineyards from various specific Terroir's within Chile, and there giving light to this. Going to Cabernet, is obviously the prime variety for Chile. It's what it's known for, and this wine comes from Pirque, which is a real, super good Cabernet zone. It's in the Maipo Valley, it's only about 20 miles outside of Santiago. Foothills of the Andes, can see the mountains from there. It's right on the edges of the Maipo river, and it's so alluvial, if you just go down a couple feet into the ground, nothing but gigantic rocks. And this is become the prime zone, basically call it the left bank, or the heart of the Napa Valley of Chilean Cabernet production. Jameson: So is Cabernet Sauvignon, is that Chile's best grape? Best red grape? Michael: Well I'm not so sure it's the best, it's definitely the one that's grown the most, it's the most prominent one. We talked about the value wines at the beginning. For Chile was able to produce a lot of pretty good, very nice, drinkable Cabernet in the $8, $10 range. It's harder for them to do that now with international pricing and just where everything's going. Cabernet likes dry, sunny, coastal weather. Same reason there's tons of Cabernet in California. There's tons of Cabernet in Chile. But there are some really good specific areas that get away from simple, industrial production, and give you some real grapes of character. Pirque is one of them. Jameson: And then what's up with Carménère, as far as it's status today? I know a lot of people, they've got this stereotype of, oh it's all, it's green, it's vegetal, blah blah blah. But is that the case now? Michael: Carménère has its tendencies. Its suicidal tendencies. It's a grape that was originally from Bordeaux, never replanted after the Phylloxera plague of the 19th century there, because it was just prone to greenness. And that was in a "cool climate". Chile being a little sunnier, a little warmer, having a higher heat index, and a higher sun index than Bordeaux, has had the ability to ripen Carménère better. Carménère is a signature grape if you will, simply because I think 98% of the world's Carménère is in Chile. For a long time people thought it was Merlot. Green tasting, herbal Merlot. It just has a lot of pyrazines. And it's very difficult to get that out of the grapes. There are now ways of going for max ripeness, then trying to maybe acidify the wine back into balance. It's not my favorite style, but that's what you see. It's the big sort of here we are, iconic Carménère level. And then Carménère at that inexpensive level, large crop, high economies of scale for the winery. That's not really one of my favorite wines. Jameson: Yeah, I like those green, herbal flavors. They're polarizing, it's like Sauvignon Blanc, some people love it. Jameson: Some people can't stand it. But I like those flavors, and I think they are to me part of the grape, in trying to blow it up and blow it out. And obscure that to me does a disservice. Michael: Yeah but the feedback in Chile, is a very feedback oriented country. Being located where they are and exporting so much of their product. It's only 17 million people in the entire country. And it's not a really huge wine drinking country, despite the fact that they produce so much, and it's one of their top six industries. So they have to export a lot, I think the feedback around the world is, your Carménère's interesting, and we understand it's your signature grape and that you do it more than anybody else, but that doesn't mean we love it. I think you're a little more experimental than the average wine drinker. Jameson: Right, I'm the middle aged, natty wine, Brooklyn hipster drinker. So my demo isn't. Michael: ou might a liquid weed patch. Jameson: Yeah, exactly, I love that. Bring on the full on green pepper. Poor it into a hallowed out green pepper and I'll drink it. Michael: You get the bell pepper surprise, you can get that. So yeah. But you know what? Even Cabernet Sauvignon, and there is this typical Chilean character which there is a lot of mint, and menthol, and Eucalyptus, and tea, and tobacco, and these types of flavors and aromas, that work there way into the grape. And true Chilean Cabernet is pretty unique too. It may have the power and the structure, the smooth tannins of a Napa wine, or may have the age ability of a Bordeaux, but it's also, if you taste it blind ... And I've done a bunch of these top Cabernet's from around the world, they stick out. And it's generally speaking a little bit of that greenness. And just must be in the water. Jameson: Yeah. And again, those are to me, when I drink Cabernet, when I want great Cabernet, I want a little bit of those green herbal minty, Eucalyptus things. But again that's just me, and I'm an outlier. Just an outlier. Hey we'll be back to the show very shortly, but since you're here, I know you're already a fine of wine podcasts, why don't you check out our other show called, The Wine Enthusiast Podcast, download it wherever you get podcasts. So the third wine is a Cabernet Franc. It's the Maquis 2011 Franco, Cabernet Franc, Colchagua Valley, 92 points, seller selection. So for a herbal wine loving guy like me, is this Cabernet Franc going to make me happy? Or is it going to make me disappointed? Michael: This one might not be your wine Jameson, but it might be again, in tune with the global pallette. It's not a green, spicy, leafy version like you might get from the Loire Valley. Michael: Or that you might get in a cool year Bordeaux from Saint-Émilion. Or even a left bank wine with a fair amount of Cab Franc in it. It is more, probably in tune with the "International full bodied red style". But I like it in the sense that, Chile can be a little bit cool for Cab Franc, and some of the Cab Franc's that I have tasted down there have been really leafy, really highly herbal. They could fool you for being Carménère. This one comes from a cooler vintage, in the Colchagua Valley, that's an area we haven't spoken about yet. It's a really, I would say it's probably Chile's most, prototypical contained wine valley. I've described it in my articles, as resembling a small Napa. You've got hillsides on both sides, a river running through the middle of the valley heading out to the ocean, coastal influences. Warm, warm valley. And known for red wines. Maquis has there vineyards hidden down by the river. It's one of the cooler areas of the Colchagua Valley. And so they get a little more character. The Franco, is a double play on words. Obviously it's for the Cab Franc, but it's also a wine planted on its own rootstocks. So it's Pie Franco. It's not grafted, it's not an old vineyard taken over. It's a vineyard planted several decades ago. And it was planted on it's own stocks to Cab Franc. I think it's a ... Really, we're talking about wines that are tasted blind here. And so we're not ... When some of the characteristics that I talk about, and the point total. And the fact that, gave it an Editors Choice, Seller Selection, saying this wine can age. That's what impressed me in the tasting. Not so much it's, oh I can varietally peg this as Cab Franc. You, as a Cab Franc lover with an affinity for green, Finks an Irish name, so. Jameson: Yeah, Eileen Kelly, my mom. Super Irish, Jameson my first name. Michael: Exactly, so. Being a man of green, kelly green in this case. You probably might want a little more of that character in it, just so it reminds you of a nice Bourgeois, or Chinon or something. But it's just not going to do that. It's going to be a Chilean version, warm valley, fuller bodied type of wine. But I think very interesting. And one that can actually sit nicely with Cabernet Sauvignon, or any of the better, full bodied red wines that Chile produces. So it's one that I've always like. I think Maquis done one of the more consistently good Cab Franc's in all of Chile. Jameson: Yeah, and I just noticed it was a 2011 vintage. So it's already got a few years of age on it. Jameson: So that bodes really well, especially with your 92 point review. And I want to touch on some other red grapes. What's a rising star, or maybe something that's been neglected, now is being revitalized, is Pais a big deal? Michael: Pais is a big deal in the regions where it comes from. That's mostly the southern regions where the old vineyards, that are dry farmed. And have either been barely tended to, neglected, reclaimed. That's where Pais comes from. That's the old mission grape. It's the old country grape. It's grape that was used for jug wines. And wine sold at the market for filling out bulk wine in everything. There's a movement to reclaim it. And to make it, can be done in a fun, natural way. I think for the nat wine funkster type, I think Pais is probably your very best bet. And the wineries and winemakers that are working with it tend to really fulfill that whole narrative. But my favorite obscure grapes, also largely from the old vineyards of the south. Areas like Maule and Etota, are the two C's. Carignan and Cinsaut, all grapes that were brought over from France in the 19th century, largely forgotten and neglected. Used just for bulk wine, co-op wine, these types of things. And now people are saying wow, Priorat in Spain is known for Carignan, other areas of Spain are known for Carignan. There's Carignan in the South of France. And it's a racy, red fruit style wine for the most part. It's got good tension, can be made in a fuller bodied oak style. It can be done in a more restrained, leaner style. So I like that. And Cinsaut another French grape that you see very little, is from the South of France, used in Rosé and things like that throughout Provence, and the lower Rome Valley. Is being done in a fresh, light bodied, Bougelet style. I think you would really like it. Jameson: Yeah, right up my alley. Michael: Yup. I think Rafael has a TH, a Terroir Hunter Etota Valley Cinsaut. There's a couple other winemakers in the country that are making it in clay amphora, or in neutral cement eggs to try to really give the off root, all history, all terroir, no oak, very little manipulation. Interesting wines and very small production. Small distribution, but they're out there in small numbers. I really like those two oddball grapes. Jameson: And then finally, I would be remiss if we didn't touch on white wine. I've had a lot of, I guess my introduction to Chile was probably Sauvignon Blanc, because I love Sauvignon Blanc, and I found really great Sauvignon Blanc, really tasty coastal type of wines. And I'm starting to have some really good Chardonnay's too. What's the state of white wine in Chile right now? Michael: Well, it's an interesting question Jameson, because in Chile, hands down the best type of cuisine, food, comes from the ocean. Comes from the Pacific. Michael: 4,000 miles of coastline. Gigantic fishing industry. Shellfish, crab, octopus, you name it. Anything that's in the Pacific Ocean, they pull out, and it's much better than the steaks. You want steak, go to Argentina. Michael: Or go to Uruguay, even go to Brazil. In Chile eat the seafood. So what do you want to drink with good seafood? White wine. Mostly though I've found that for a long time it was about quaffability, and fitting what they thought were norms. They weren't natural white wine producers, so they were trying to match styles. Chardonnay, for a long time was lost in the Chilean forests, with poor oak, overripe fruit. So you got the flat, melonny, banana ball, with a lot of oak. Some of it real, some of it fake. Really not a great way of putting a Chardonnay foot forward. Jameson: No it sounds very [crosstalk 00:23:06]. Michael: Sauvignon Blanc, got a lot of credit for being this coastal, fresh type of thing. I think it was a little bit premature, a little bit overrated. It led to some overproduction of Sauvignon Blanc. And also, I think just a flooding of the market. And I think it needs to be reevaluated. Made in smaller quantities, because there's too much Sauvignon Blanc competition. It's not as popular a grape type as we would like it to be. Or think that it might be. Sauvignon Blanc, yeah everybody drinks it. No not really. Jameson: Yeah, it's polarizing. It's a flavor profile. Michael: Not really, and I think that it's only 2% of the wine market in the United States. So you have this impression that, "Oh, I bet everybody's drinking Sauvignon Blanc". Not so. Chile I think, they have good coastal Sauvignon Blanc, but it runs the risk of being repetitive, and this zesty, quaffable, screw cap type of wine. Chill it, kill it. But there are a few that are, again where the vineyard matters. Where the winemaker's doing more with the grapes than simply just picking and popping them into a tank. There could be some work with cement. There might be a minute amount of barrel aging going on in there. And these wines I do find interesting. I find that they drink better on the spot. And with the local food maybe than as an export wine. But I'm glad you brought up Chardonnay, because I they're really improving it. Getting away from that over the top, blowsy, not necessarily well made, artificial style. And going with a little bit more of a Burgundian higher acid, and site specific. Trying to stay near the coastline, Casablanca Valley. You don't find hardly any Maipo, or Maule Valley. None of the internal, central valleys they've pretty much taken the white wine out of those valleys. Moved them close to the ocean. That's a good move. Jameson: Yeah, well I think it's a good move to explore everything that Chile has to offer. Don't be afraid to get into that $30, $40 range or higher if you can. But there's still great, easy drinking wines and old vines to explore. And fuller style. There's just a little bit of everything. So I think we should all be drinking more wine from Chile. And Michael thank you for being on the show. Michael: Good deal Jameson, great. Jameson: And thank you for listening to the What We're Tasting Podcast, sponsored by Vivino, wine made easy. The three wines we discussed today were the Valdevieso, 2014 Caballo Loco Grand Crew Limari Syrah. Unduragga, 2015 Terroir Hunter, Alto Maipo Cabernet Sauvignon. And the Maquis 2011 Franco, Cabernet Franc. Find What We're Tasting, on iTunes, Google Play, or wherever you find podcasts. And if you liked today's episode, please give us a five star rating on iTunes, leave a comment, and tell your friends. 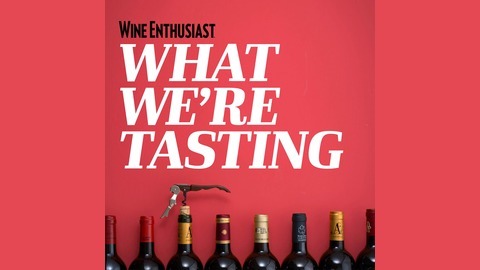 What We're Tasting is a Wine Enthusiast Podcast. Checkout Wine Enthusiast online at winemag.com.